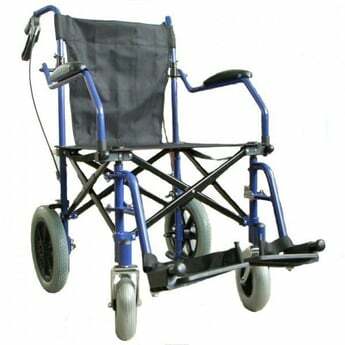 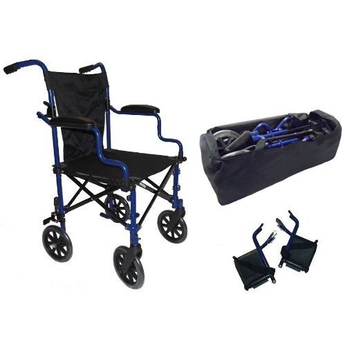 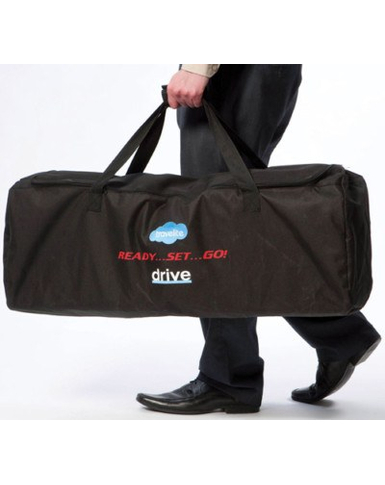 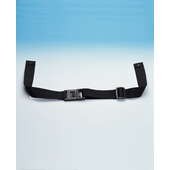 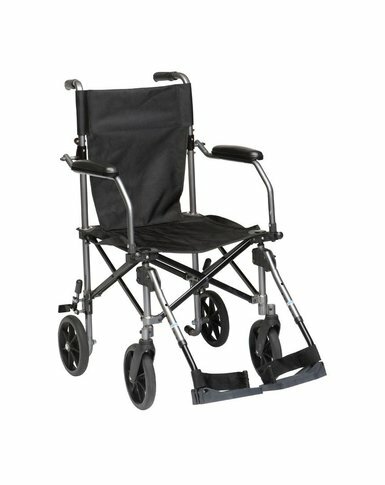 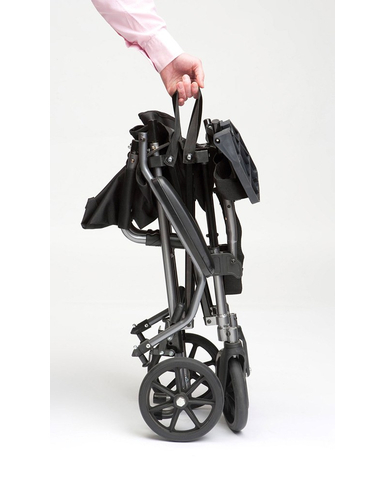 Travelite Transport Chair comes with a lightweight travel bag with wheels for easy transportation. 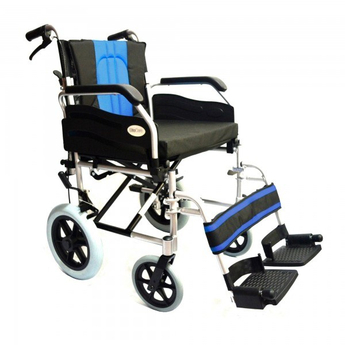 This no frills entry level wheelchair folds to approx 1/3 the size of a typical folded wheelchair making it ideal for holidays, days out and shopping trips. 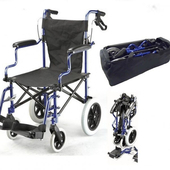 It features an aluminium frame in metallic gun metal grey, an 18" square nylon seat canvas and for added comfort it has padded, flip up desk arms, height adjustable footrests and 8" solid tyres.